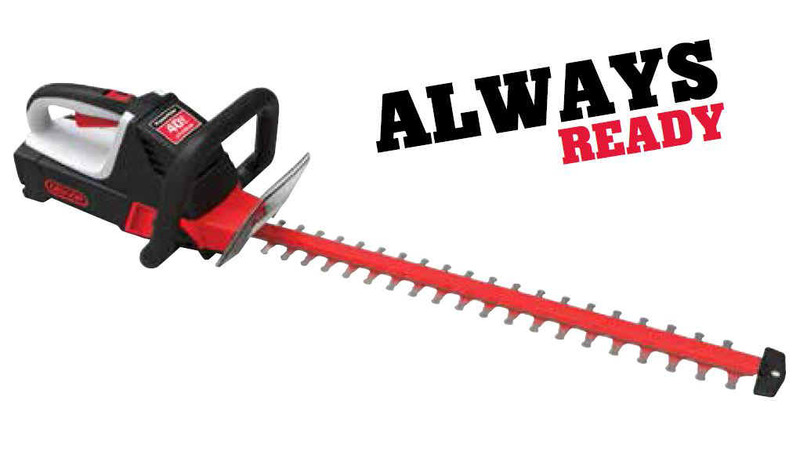 Whether you are a commercial landscaper or a just a hardworking homeowner who demands only the best, the OREGON® 40V MAX* Hedge Trimmer has all the power you need to handle even the toughest jobs. It has no cords to get tangled up or cut and the HT250 is ALWAYS READY. The OREGON lithium ion battery pack features premium cell technology for long run time and powerful, fast cutting. An ergonomic design allows for comfortable use of the 24" blade, and a variable speed throttle increases control and runtime. Precision-ground, laser-cut blades mean cleaner cuts and healthier plants.